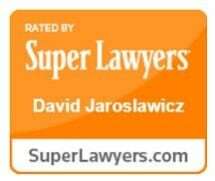 David Jaroslawicz, the principal partner of Jaroslawicz & Jaros, is a member of the New York, Florida and California bars. He has been in practice for over 40 years and has been selected as one of the Top Trial Lawyers in the country by The American Trial Lawyers Association and been named a New York Super Lawyer. Mr. Jaroslawicz has handled both trials and appeals and has argued cases before the United States Supreme Court, the New York State Court of Appeals, the United States Court of Appeals for the Second, Ninth, and Tenth Circuit, as well as the Florida Supreme Court. Mr. Jaroslawicz has represented countless clients involved in commercial litigation; contract disputes; real estate litigation; sexual discrimination and harassment, and sexual abuse by priests, medical malpractice; product liability cases such as defective medical products, pharmaceuticals, bicycle or motorcycle helmets, industrial machinery, tires, hospital equipment, and defective automobiles, among others. His contributions to the practice of law have helped shape New York and New Jersey common law. In fact, Mr. Jaroslawicz was among the legal pioneers who developed the concerted action theory that was utilized against drug manufacturer Eli Lilly Pharmaceuticals, who had manufactured and sold DES, a drug that caused cancer in children decades after their mothers had ingested the drugs while pregnant. In addition to his work in the personal injury field, Mr. Jaroslawicz has also handled class-action consumer fraud lawsuits as well as lawsuits on behalf of stock holders who have suffered severe financial losses as a result of securities fraud. Due to his expertise, Mr. Jaroslawicz had been invited to lecture on numerous occasions on behalf of lawyer groups such as the New York Trial Lawyers Association. Based on his extensive knowledge of the law Mr. Jaroslawicz is involved with and personally handles and supervises all cases that are accepted by the firm of Jaroslawicz & Jaros and decides in which Court's jurisdiction it would be best to bring your case as well as preparing the legal documents required to start your case so that the correct law is used and applied. He also is involved in all of the firm's Appeals and Appellate practice as the firm of Jaroslawicz & Jaros writes all of its own briefs and argues its own appeals.